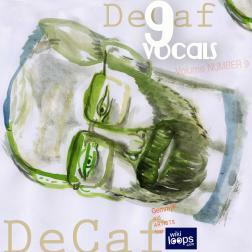 So this is the 9th Singing Album That I've put together here on WikiLoops. This was a little out of Order as I put out Album 10--many weeks before this one. This album has some "double songs on it. What I mean by that is I tried to combine songs I sang on with the same players. The First example is with Caroljoyce, and another is with Capt'NJef....BTW he's on here a lot....Go to his plays and like them if you like his playing...he's one rowdy Captain! Anyway hope you like the music. I had fun putting it together, with all the players on these cool and varied songs! As a life-long devotee of the works of Kenny G and the Carpenters, I'm shocked and yes, a little disappointed that a group of so-called 'musicians' would assemble to play such an aharmonic noise! Great album with lots of depth and rich lyrics/harmony.